YouTube-MP3 is no more. But there are others trying hard to fill the vacuum. YouTube-MP3 had to shut down its service last year. Before the shutdown, YouTube-MP3 represented the world’s biggest YouTube-ripping service. That coincidentally is also the reason why some of the world’s largest record labels came after it with lawsuits. In other words, the site had to shut down because of all the lawsuits that came its way. The music industry despises stream-ripping services. In fact, the music industry cites the stream-ripping industry as a threat to its existence. There is another site which goes by the name of NotMP3downloader.com. Operators behind this website believe that they can provide people with the same service. But without violating any kind of law. Back in the year 2016, the IFPI (International Federation of the Phonographic Industry) got some researchers together and published some research. That research claimed that almost half of all people aged between 16 and 24 made use of stream-ripping tools. In other words, they used stream-ripping tools to copy audio content (mostly music) from websites and services such as YouTube. It is true that these statistics would not surprise people who regularly take part in such activities. But the International Federation of the Phonographic Industry said that the piracy volumes involved with such activities had reach epic scale. So epic that, according to the International Federation of the Phonographic Industry, stream-ripping had actually overtaken other pirate sites that offered music downloads. Needless to say, the International Federation of the Phonographic Industry made a pretty big statement. Coincidentally or maybe not so coincidentally, after about two weeks, the RIAA along with BPI and IFPI made a joint announcement. The announcement basically communicated to all involved parties that they would take legal action against YouTube-MP3. As mentioned before, YouTube-MP3 represented the biggest YouTube ripping site in the world. The complaint talked about many things. 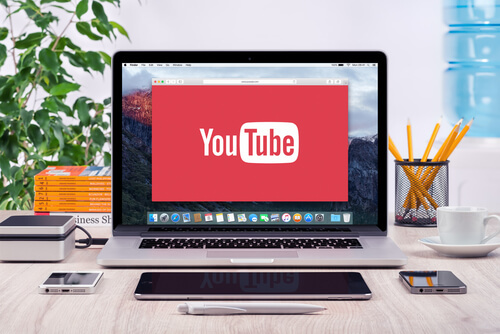 Firstly it mentioned that YTMP3 seamlessly and rapidly removed the audio tracks contained in many popular videos streamed directly from YouTube which YTMP3’s users accessed. Then the service helped users to convert those accessed audio tracks to a convenient format like MP3. After that YouTube-MP3 helped itself to make copies of that content and then stored that content on YTMP3 servers. Then the service distributed those MP3 audio files copied from the company’s own servers to the service’s users based in the United States. Later, the group of labels actually sued YouTube-MP3. 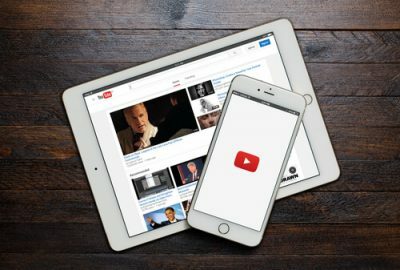 YouTube-MP3 allowed users to download content from YouTube. For direct infringement of its content. Needless to say, the group of labels that went after YouTube-MP3 had prepared a pretty big case against YouTube-MP3. Such big cases always provide a good dose of intrigue for actors who only watch these cases from outside the court rather than the inside. But this time, no one got to see anything. Because the case never went ahead. Just a year after the group of labels sued YouTube-MP3, in September of 2017, the world’s largest stream-ripping site agreed to settle everything out of court. For one reason or another, both parties agreed to not provide any details related to the settlement to the public. Apparently, YouTube-MP3 took any and all the blame for all the trouble. Involved parties asked the court to rule in favor of the group of labels that brought the case in the first place on all counts. This arrangement accomplished two very important things. Firstly, it successfully formed the impression that whatever YouTube-MP3 did with its service involved some illegal. Secondly, it sends out a strong message to all other companies that had planned to offer similar services. With that said, we also saw onlookers who clearly observed the group of labels’ lawsuit as something that we should also study further. And then learn lessons from. One of the services that learned (and actually launched after YouTube-MP3) from the case came in the form of NotMP3downloader.com. This website advertised its services as Free MP3 Recorder for sites like YouTube. To put it another way, NotMP3downloader.com offered a tool very similar in its functionality to the previous YouTube-MP3 website. Supposedly, the new NotMP3downloader.com has done something different. Something, which will allow it to avoid all the legal pitfalls which hurt YouTube-MP3. How has NotMP3downloader.com managed that? First off, it does not process audio on its own. In fact, it does that on its user’s computer machine. In achieving that, it doesn’t necessarily take advantage of concepts such as stream-ripping per se. It makes use of another concept called stream-recording. Some readers might see that as a very subtle difference. At least, not according to the operators of the new tool. The operators behind NotMP3downloader.com think that it is very important for everyone to understand how does their tool work. One of the operators told TorrentFreak that after examining all the claims that copyright holders made against services such as YouTubeMP3.org, their service identified the three main points on which all the other charges relied on. After identifying those problem areas, according to the operator of the site, they changed the service so that none of the problems that caused the shutdown of YouTube-MP3 would apply to their own product. What Are Those Three Points? The first point is related to YouTube-MP3 and its actions involving the conversion of audio content. It also involves how services such as YouTube-MP3 stored and then distributed that audio content which the service had previously managed to cull from streaming services such as YouTube. Basically, YouTube-MP3 made the mistake of holding copies of pirated and/or unlicensed audio tracks on the company’s own servers. This action can usually act as a potent and direct copyright infringement risk. NotMP3downloader operator explained to TorrentFreak that NotMP3downloader did not have any servers on which the service could download or convert or even store any content and especially copyrighted content from streaming services like YouTube. Hence, their service did not violate any copyright law. In other words, NotMP3downloader.com, according to its operators, stays away from prohibitions that are implied in actions such as downloading, converting and storing pirated content. The second act that NotMP3downloader took really good care of involved the act of stream-ripping. YouTube-MP3 worked a bit different from NotMP3downloader. The most popular service that has taken the mantle from YouTube-MP3 is NotMP3downloader. YouTube-MP3 managed to download digital and audio content directly from services such YouTube. And it used its own software to do that. NotMP3downloader operator told TorrentFreak that their service did things in another way. The operated noted that their software did not download any streaming content in a direct manner. Their service only launched a web browser with the same video content that a user may specify beforehand. The actual act of capturing the content happened from a local computer machine. More specifically, from the sound card of the local computer machine. In other words, NotMP3downloader.com does not deal with any audio content that is streamed via a given network. According to the operator, the company considers this part very important as well. 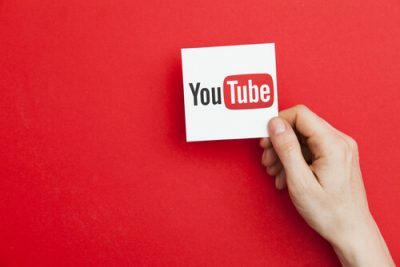 Label groups accused YouTube-MP3 of circumventing technological measures unlawfully that YouTube had implemented precisely to prevent people from downloading and/or copying the platform’s content. Now, NotMP3downloader.com opens us YouTube videos by opening up the site itself. And basically views the given content in such a manner that it conforms to the site’s demands. NotMP3downloader operator told TorrentFreak that in this way the service avoided violating YouTube’s integrity. This method also allowed NotMP3downloader.com to not perform direct downloads of any video or audio files. A few of our readers might have also heard about Betamax video recorder. This recorder did something pretty similar in the past before it moved to enable recording content from analog TV. NotMP3downloader cleverly enables all of its users to record any given ouTube stream on their own local computer machine. According to the makers of NotMP3downloader, this means the software that it provides does nothing illegal. And basically defeats any and all the claims that label groups made against YouTube-MP3 in their previous lawsuit. The NotMP3downloader team also explained to TorrentFreak that most people think of YouTube as a streaming platform. But it actually broadcasts content via the internet. Hence, they did not see anything wrong if the user had the permission to watch all of the site’s content later as they may like or want. The NotMP3downloader team also mentioned that people should find it worth noting that in United City Studios, Inc, (464 U.S 417) v. Sony Corp of America, the United States Supreme Court actually held that such practices would definitely count as time-shiting. The United States Supreme Court found it lawful while representing fair use under the United States Copyright Act. The Court also said that the time-shifting practice should cause no substantial damage to the actual copyright holder of the content. Perhaps this is a good time to mention that software applications that can record sounds and videos on local computer machines represent nothing new. But the latest developments regarding the YouTube-MP3 case and of course, the response from other services such as NotMP3downloader do raise some very interesting questions. Folks over that TorrentFreak went out in the wild and put some of the more interesting ones to Neil Turkewitz. He is the former Executive Vice President of RIAA. Neil now works with Turkewitz Consulting Group as the organization’s President. While answering questions, Turkewitz stressed the fact that he did not speak on behalf of the industry as a complete body. Nor did he speak for organizations such as RIAA. Even with that, TorrentFreak found that he had a clear and persistent passion for protecting content creators and those who protect those creators. He told TorrentFreak that in the previously-mentioned instance, one should not rely on the Betamax decision. YouTube-MP3 was just one of the many services that allowed users to rip streams from YouTube. Because it would be misplaced. According to Turkewitz, the content (in this case) is different and of course, the activity is different as well. Turkewitz also told TorrentFreak that the function of the service here is also different than Betamax. He further added that people should understand the Sony decision in its proper context. Mainly, the time shifting of the related audiovisual programming that a channel broadcasts from point to multipoint. Services like YouTube that make content available to online users via point-to-point interaction aren’t really broadcasting anything. At the very least, according to Turkewitz, YouTube’s method of offering content is not near a form of broadcasting that one can liken to the form of broadcasting that the Supreme Court considered in Sony’s case. Furthermore, he added, the problem had a more fundamental part. Broadcasting, which can be considered as the right of communication to the general public, is just one of the many rights that the service implicates. Of course, issues related to liability would be informed via many considerations. A host of other things could also affect the final judgment of the court. Things like the court’s own view. Whether the court considers the “innovation” as a legitimate attempt on part of one actor to actually circumvent any or all requirements of the United States law. According to Turkewitz, the United States Supreme Court’s decision in the Aereo vs ABC case could prove very instructive in this regard. Apart from all this, there are some other issues to contend with as well. YouTube, hasn’t announced to take any legal action against such actors in order to deter users from going ahead and downloading the platform’s content rather than just streaming it. But if one looks at YouTube’s terms of service, they are pretty specific. They are specific in the sense that they essentially cover any and all eventualities in such cases. YouTube’s terms of service document reads that the user agrees to not access the platform’s content for any other reason other than the user’s personal and non-commercial use alone. Moreover, the user should consume the platform’s content as intended via and permitted by the service’s normal functionality. The document reiterates the fact that the content is solely from streaming. That means, users can’t really download YouTube’s content even if they wanted to. Well, one can look at YouTube’s terms of service to further understand what does streaming mean. Streaming, according to YouTube’s terms of service document, means a form of contemporaneous digital transmission of YouTube’s material via the internet to any user who is operating an internet enabled device in such a way that the material’s data is only intended for viewing that happens in real time. The terms of service document clearly mentions that YouTube’s content is not intended to be downloaded. The document mentions that users can’t download the content either temporarily or permanently. any of the platform’s content for any given purposes. If a user wanted to do that, then the user would have to get prior and written consent from YouTube. Or, users could also get that consent from the content’s respective licensors. What does that really mean for the end user? Well, giving deserving respect to the document, it seems that YouTube does not allow much when it comes to doing something “creative” with its content. 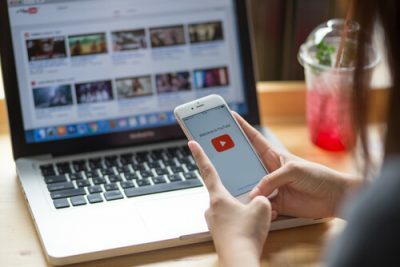 Currently, users can’t manipulate the content in any way other than real-time streaming of the content that is available on YouTube. If the user tries to then that would mean the user has breached the official YouTube terms of service document. Of course, now comes the big question. Is providing a tool which someone has designed specifically to enable users stream content offline constitute as copyright infringement? People working behind another tool called Free MP3 Recorder have an interesting take on this matter. They believe that the actual scope of any application actually depends completely on the end user’s real intentions. At first view, that does seem like a fair enough argument. But we have to keep in mind that copyright law is always incredibly complex. And because it is complete, you will always find a good number of opposing views. BPI did take action against the-now-shut-down YouTubeMP3. And that’s why TorrentFreak reached out to them to ask them further questions on BPI’s take on such types of tool. TorrentFreak did receive an official response. And it said something along the lines of ‘no comment’. That, as readers can probably tell, does not clarify a whole lot on BPI’s position on the issue. At least, for now, it doesn’t. Whatever is the case, one thing is for sure. The previous Betamax decision (regardless of the fact if it is relevant here or not) does not really apply in the United Kingdom. Instead of simplifying the situation this fact actually adds even more parameters to consider. Perhaps, the Betamax decision provides more opportunities for attorneys on both sides to make some more money. Lawyers on both sides would love to argue against and for tools like the ones we’ve mentioned in this post well into the future.